SabhaBhavan on Sunday 27th May 2018. 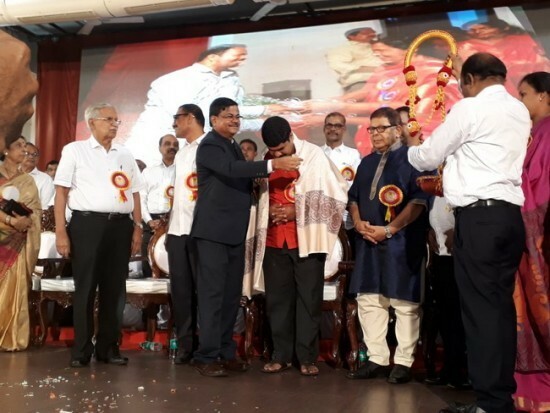 The event was largely attended by community members and invited dignitoriis. 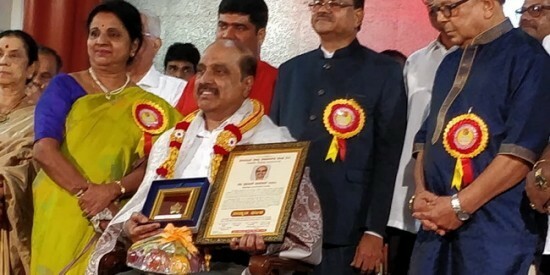 Mangalaore City Mayor, Bhaskar.K; Eminent Cardiologist and Surgeon, Dr.Praveeen Kumar; Dinesh C Devadiga, Dubai A Aryabhata Awardee; Suresh Devadiga & Surendra Moily were the honoured Achievers. 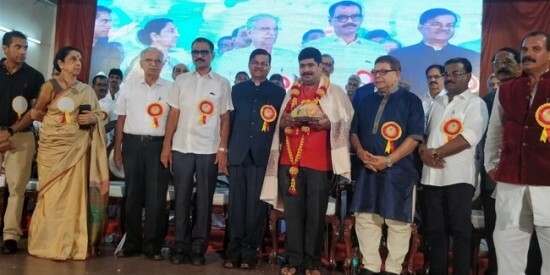 President K.Devaraj Presided and Harsha Moily, Mrs.Malathi V Moily, Dr.K.VDevadiga, Vaman Maroly and other eminent community elders and leaders of various Sanghas graced the event. 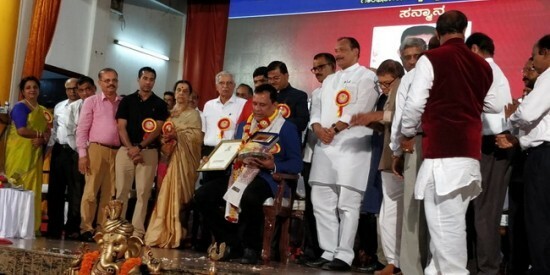 Local MLA Vedavyas Kamath, MP Nalin Kumar & MLC Ivan Dsouza were the Chief Guuest and were honoured too.